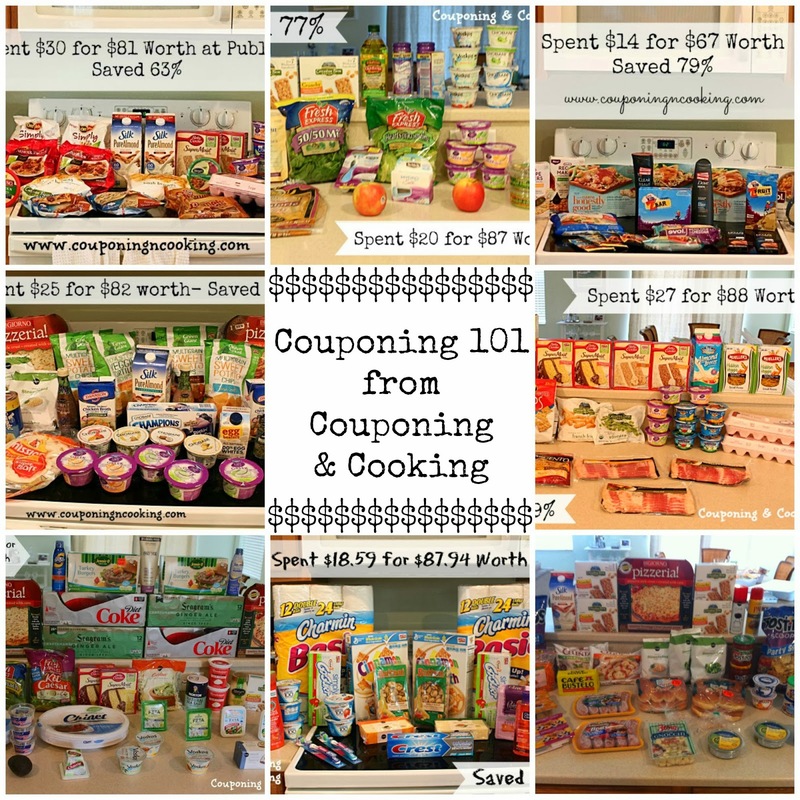 It's been awhile since I have done any couponing basics posts here on the blog. Sure, I try to always do my weekly shopping trips posts but lately I have had a lot of people ask me about couponing basics. 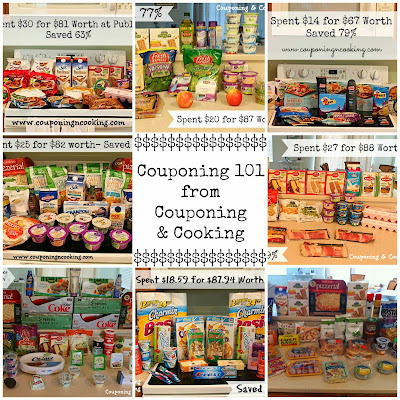 As a result I am going to be doing a weekly series on Couponing 101 and cover things like how to get started, where to find coupons and what do all the couponing terms actually mean. Tonight I am going to cover the basics of starting to coupon. When I really thought about the process of getting started couponing, I realized that if you don't start out with a set idea and plan of attack in mind then you are likely to do what I did and end up buying everything even remotely on sale and end up with piles of things that you can never use. To help you avoid my mistakes here are five questions to ask yourself before you get started. Reflecting on these answers will help you come up with a reasonable and manageable way to save money while not becoming the crazy lady on tv with 500 bottles of salad dressing and nothing else to eat. 1.) What is your budget? Setting your weekly budget is the first step to saving on groceries and household expenses. My husband and I have a set cash budget of $80 a week for all household spending. This includes groceries, toiletries, and all household items. This allows me to buy what we need and add to my stockpile, pantry, and freezer without going over board. When do you get paid? Weekly? Biweekly? Once a month? No set pay schedule? Look at how much you usually spend on groceries and household purchases in a week; do you have too much food leftover at the end of the week or do things often go bad without using them? Do you have any special situations in your household? Allergies? Formula? After taking all those things into account try to settle on a weekly budget that makes sense for you. Setting a budget could be as simple as challenging yourself to spend $10 less this week than last week and going from there. 2.) How much do you need and how much space do you have? Building up a stockpile is a key part of saving money with couponing but you have to do what is realistic for you. But there is no point in having 50 boxes of pasta if your family of three will only eat two a week. It is easy to fall into the trap of buying as much of a cheap product as possible but unless it is something your family will consume before it expires than even .05 cents is to much to pay for it. Take inventory of what you eat on a regular basis. Know that all sales usually rotate on a 4-8 week basis and most deals will come back again. If you really will eat eight boxes of cereal in six weeks then by all means buy that many but I always try to stick to just two of most deals unless they are something we eat all the time, something that won't go bad or something that never goes on sale. After a few months of couponing you will have a better idea of what works for you. Storage space is also something to consider when couponing. I live in South Florida where we don't have basements and can't really store food products in our garage but I do have an extra deep freezer as well as an under the stairs storage area. This means that I need to limit my stockpile to what I have space for. Before you start cutting coupons, think about where you will store everything you are planning to buy. 3.) How much time do you have to spend and where do you want to shop? Personally, I do not have time to run to every store and grab every amazing deal that exists. I tried to do that for awhile but with a full time job and a life it just wasn't realistic. Today, I shop once a week at Publix (more if there are really good deals and time allows) and I try to get to Target every few weeks. I don't even look at Walmart or drug store ads. While I might be missing some great deals, I am saving my time and sanity by limiting myself. I am Publix shopper deep down inside. I have no desire to head to any other grocery store. That means I focus all my time and energy on looking for Publix deals and learning the Publix pricing and sale cycles. The same goes for household shopping at Target. I have been able to learn the couponing policies and strategies at each store and by only really shopping at those two places it is easy to stay up to date on current sales, coupons and deals. I also only allow myself to read couponing blogs that specialize in those two places so that I don't have to spend all day hitting refresh on my computer. 4.) What do you spend the most on and what do you want to save the most on? Do you hate paying full price for toilet paper? Do you want to save on the basics so you can afford things like organic produce or better cuts of meat? Does your baby need a really expensive brand of formula? Are there brands that you love but can't bring yourself to shell out the cash for? You don't have to go full gorilla on couponing right off the bat. You can start small by saving on certain things and slowly start to free up more money in your grocery budget for other items. Whatever it is that you hate spending full price on is a great place to start your couponing journey. Maybe cutting and printing every coupon you ever see is too much for you. But if you were just looking for and cutting out coupons for diapers, or formula, or Schick Razors (just me?) then couponing may be more manageable for you and you will be more likely to stick with it instead of burning out in a few weeks. 5.) Why are you couponing? I debated on whether this question should be first or last. Couponing takes time. It can be frustrating. There are so many times when all I want to do is go to the store without a list and just grab whatever I want without regard for prices. But then I remember why I coupon. My husband and I are blessed that we don't have to coupon to put food on our table. But we do have to cut our spending somewhere if we want to be able to save, go on trips, or enjoy little extras in life. I coupon because there are so many other things that I can spend $50+ a week. With our cash budget, we often set a fun savings goal for ourselves that we put any of our extra weekly cash towards. Right now we are saving for a trip to the Biltmore Estate over Christmas break. Last year we paid cash for a brand new, long awaited Canon T4i DLSR Camera. Those are the things that I have in the back of my mind when I would rather not get a shopping list together or hassle with coupons in the checkout line. New here? Just getting started couponing? Stay tuned for next week's Couponing 101 post. While you're waiting be sure to check out my Learn To Coupon page for more info on getting started and sneak a peak at my weekly shopping trips to see what I save each week and how. What do you want to know about couponing? Comment with your questions, suggestions or post ideas!